Who provides money transfer services? Most of the time when people need to do this they go to their bank and hope that the latest rates are in their favour. However, if you are prepared to shop around for the best deal you can save an enormous amount of money and can make your life easier when you want to complete each transaction. This guide explains how it works but we have also conducted some market research of our own, this article compares each provider giving a quote over the phone. I was moving money back to New Zealand from London in April 2015 after the sale of our home there. I'd never considered using an FX broker but because the amount was so high (GBP130,000) I thought I should at least get a quote. I got a quote through our bank in London and compared that to a couple of quotes from FX brokers. Both FX brokers quoted me a rate that was over $4,000 NZ dollars more favourable than the banks, I couldn’t believe it! Having never used a broker I investigated a bit and decided to do the transfer, saving myself heaps. I moved the money in two amounts – one transfer of GBP70,000 and then another of GBP60,000 just to be sure, but the transfer was easy and completed with 2 phone calls. A Transaction Fee for executing the transaction, this will often be waived if your amount is large. Bank Charges for the transfer and receipt of your funds across the international banking systems i.e. there can be charge(s) for the bank in New Zealand sending the money and there can be charge(s) for the bank in London receiving the funds. When banks deal with each other they deal at a rate known as the interbank rate, this rate is not available to the public (retail market). When you complete a money transfer the foreign exchange rate you receive has a margin built in which is another way the money transfer providers make a profit on the deal. Not all money transfer providers charge the same fees and there is an enormous difference in the margin added to the interbank rate. Read on!! Understanding the different providers is extremely important as you can save thousands of dollars on large transfer amounts. The companies that provide money transfers generally fit into one of four categories below. FX brokers are specifically setup to provide foreign exchange services to the retail and business sector. They have usually invested heavily in technology so use systems that make the transfer easier, in particular online or mobile device execution. 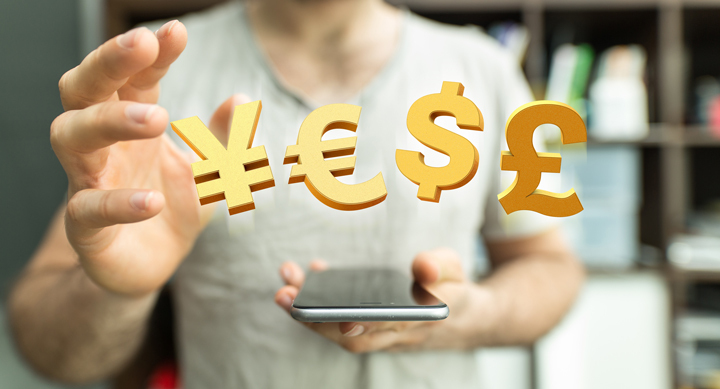 The main advantages with using a broker is that they have great rates, are cheap and have expertise in the FX products i.e you can get personal service over the phone. An example of FX Brokers are NZForex, torFX and HiFX. Dealing with banks you know the entity is an established financial institution, where you may well have a history with your personal banking business. Generally banks will be able to arrange money transfers to most currencies. The downside is that banks charge higher fees to transfer the money and will have a significantly higher margin on top of the actual exchange rate. Specialise in moving money from point to point within one country or overseas, can be done via internet, phone or visiting their office. This method is fast but there are often restrictions on amounts hence these types of firms tend to be used for smaller amounts. An example company would be Western Union. In an online P2P market place individuals exchange money directly with individuals in other countries. Depending on which provider you use, users can accept an exchange rate on offer or bid on a rate they are looking to achieve. This process means you can avoid a costly fees but you have to wait for someone to do the exchange at the rate you want. Examples of P2P currency exchanges are Currency Fair and Transfer Wise. P2P FX providers usually setup local accounts in each country they move funds to so eliminate international transaction fees. Banks are an expensive way to transfer funds overseas, test the market for yourself and get quotes. Providers will give you sharper rates to get your business, particularly if they believe there could be repeat business. Obviously getting the most money for your transaction is priority number one, however there are other things to consider. If you have an ongoing requirement i.e. you need to make payments every 3 months you want it to be very easy to execute, this may rule out some money transfer providers. Or it may be that you value the personal touch and want to speak to a broker every time so that you can get general market advice. If you are moving significant funds there may be tax implications that you should check with an accountant. As a starting point for your own research you can assess your obligations on this government website.